Charles Tannock MEP hosted the exhibition to enable parliamentary colleagues understand the visual impact of the war in the East of Ukraine on the daily life of civilians caught up in the crossfire of the conflict. "In today's situation, the only hope that comes to their lives is through empathy, understanding and vital humanitarian assistance. Rinat Akhmetov, a native of Donbass, acutely feels the suffering of his compatriots. From the first days of the war, he has understood their plight, empathised with them and offered a helping hand. In 2014, under the auspices of the Foundation, he created the largest humanitarian aid programme in Ukraine - the Humanitarian Center. More than a million people have been saved from the beginning of the conflict in 2014. According to a survey by the Kyiv International Institute of Sociology, 85% of the region's inhabitants would not have survived without his help. 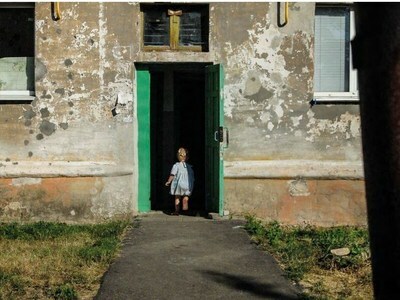 Almost 57% of Ukrainians surveyed are convinced that the work of the Rinat Akhmetov Foundation prevented a humanitarian catastrophe in Donbass," said Natalia Yemchenko, a member of the Supervisory Board of the Rinat Akhmetov Foundation.